the sound of a water drip would echo though out this one damp cave, ever since its new resident came in its been getting a little chilly. 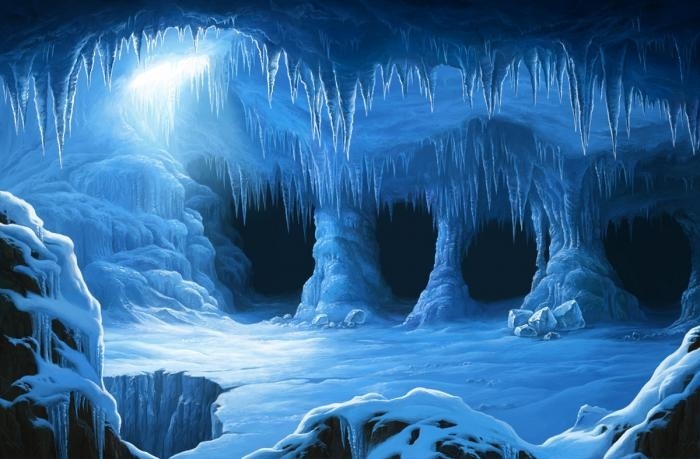 the walls where caked with thick slippery ice, any dragon who was not an ice dragon would surly loose there footing. in the back of the cave was a large pile of sharp ice shards, but this would be wrong the shards moved as if some thing was breathing inside the heep. taycee laid in a deep sleep having just finished the caves icing not to long ago.